Kim was studying in London. Nate was in Dubin. They had both left the States for a semester of exploration and culture …. new friends and new experiences. It would be a semester of college they would never forget as their passport pages filled up with foreign stamps. Nate’s college roommate was studying abroad with Kim in London, so when their spring break rolled around, Kim and Nate found themselves with a group of new friends traveling around Greece together. A romance didn’t spark instantly between Kim and Nate though. In fact, Kim laughed as she told me one of her first memories of Nate is of her yelling at him through the wall for being too loud the first night they were in Greece. It was late and everyone had to be up for a 3 a.m. flight, and Kim was longing for a night’s rest. However, this did not stop Kim and Nate from developing a great friendship during their trip. As they immersed themselves in the cultures of England and Ireland, their friendship changed and shifted into a relationship. 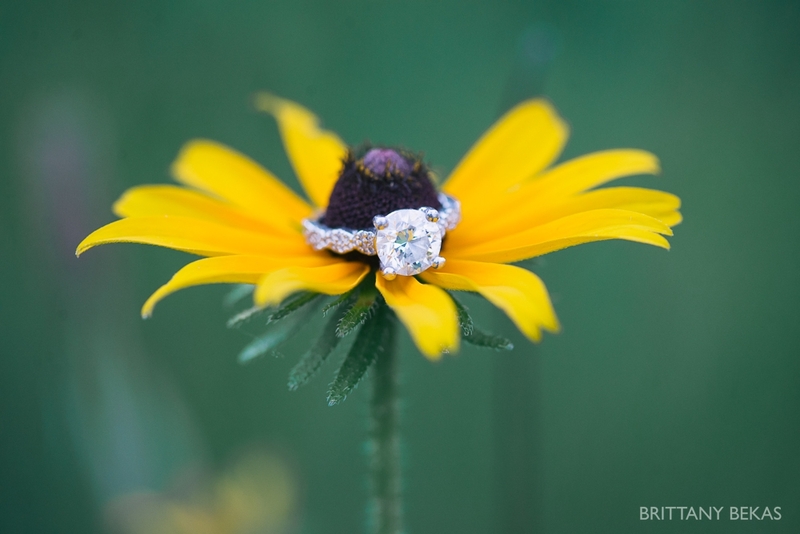 Between another trip and a few visits to Ireland, Kim and Nate found themselves happy together …. as a couple. And once they were back in the States, they continued to date long distance as Nate finished up his degree at Cornell and Kim completed her’s at Boston. Not long after, the two moved to Chicago. I was lucky enough to spend a beautiful July evening with these two around Chicago … laughing … dancing and getting to know them better. 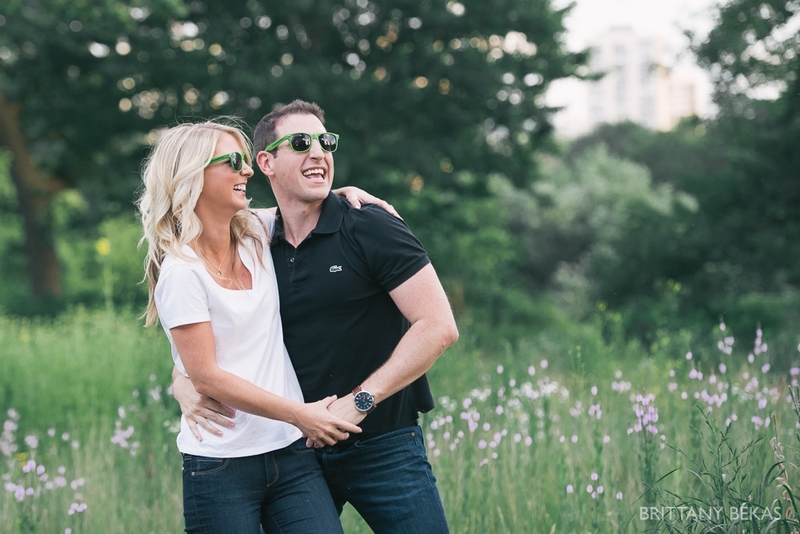 I love it when my couples can relax and just have fun in the front of my camera. 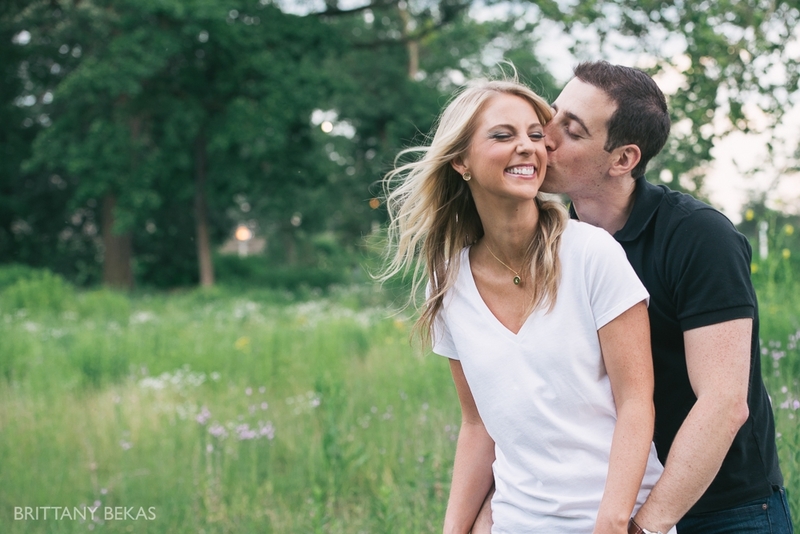 Kim and Nate were such a blast during their engagement session … they even humored me for a dance off in the middle of Lincoln Park. 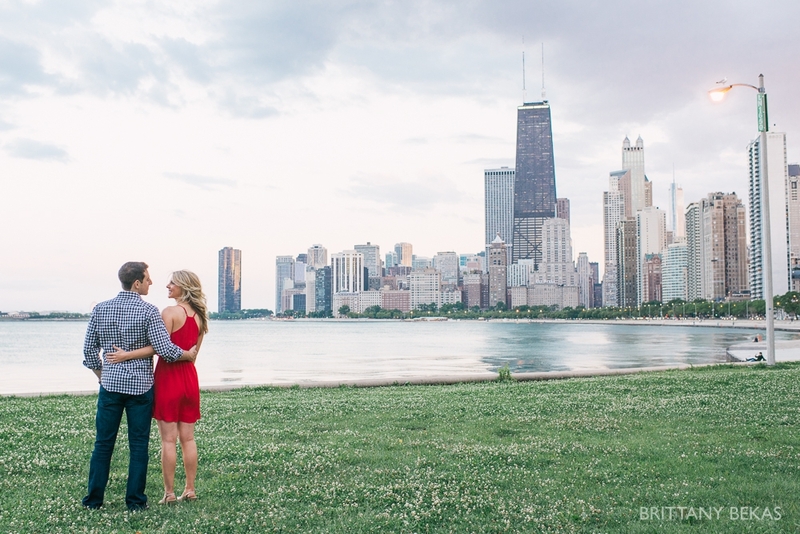 Because Chicago is the first city that Kim and Nate lived in together, it is very special to them, so it was really important that we capture the essence of Chicago and our beautiful skyline in their engagement photos. 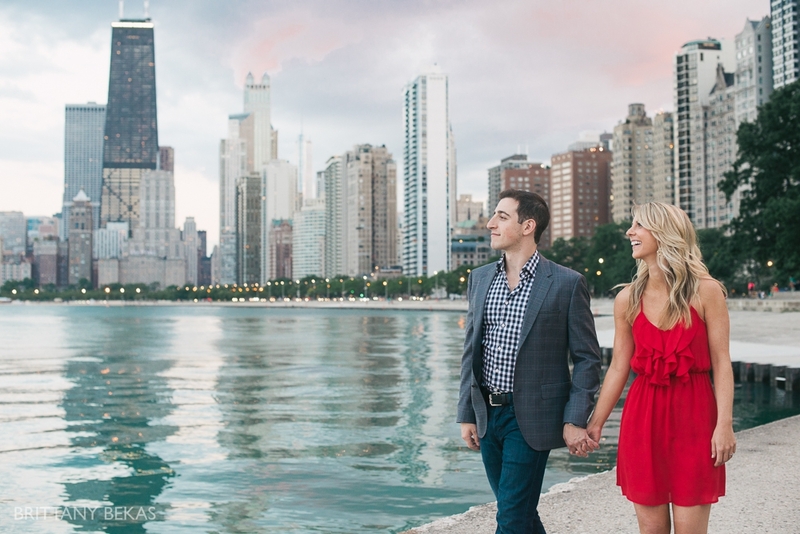 This might be one of my favorites from our shoot…..
We wandered over to North Avenue Beach to finish up our Chicago engagement session, and I couldn’t have been happier. I loved that we had the twinkling lights of the city in the background. Beautiful shots of beautiful people. Best of luck to both of you for a wonderful future together. 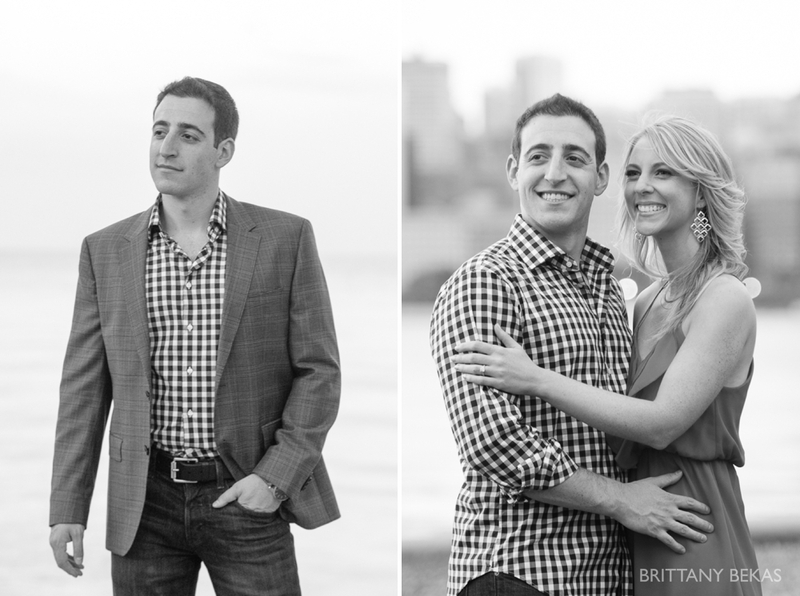 Great Photos of two very special people who found each other and are in a Love!! I hope all was fabulous today at the "big wedding!" We're in Needles. Only 3rd hottest place on this trip. Last night dinner at Cracked Crab. Fabulous!